KWCUSA and ABC worked hard to bring this competition to television and be true to the competition and karaoke. Wendell Payne, President of KWCUSA, says, “This is not a reality show, this is a real show with real people in a real competition battling to win. Yet in true karaoke form, what stands out is the uniqueness of the karaoke family. ABC is bringing Karaoke to America like never before”. Even as each singer battled to win each round of the competition, each and every singer supported each other, cheered each other on, and became lifelong friends. “There is so much love and camaraderie in the karaoke community, and we are grateful to KWCUSA for letting us be a part of this year’s competition”, says John R Green, Executive Producer ABC. There will be six episodes with each of the episodes at least 1 hour. The premier episode will be two hours and start with the West Regional. Each episode will follow the singers through the four regional competitions as they advance to the semifinals and then to the finals. It will be at the finals when all of America will see who wins the final battle for the opportunity to represent the United States in world competition. Our mission is to organize, facilitate, and manage a viable, impartial competition for the entire United States. Our goal is to include as many possible singers from all states and territories of the U.S.A. and provide this opportunity to all amateur performers to represent our country at the Karaoke World Championships. Our objective is to identify, prepare, promote true U.S.A. karaoke champions utilizing all of our organizations resources efficiently and effectively observing all guidelines established by the Karaoke World Championship Organization and to provide the due diligence required to facilitate our mission in its entirety. 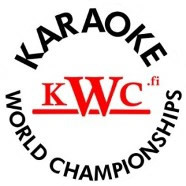 The Karaoke World Championships (KWC) is the largest and most prestigious international karaoke competition in the world. This multi cultural international music event without boundaries permeates the spirt of music, entertainment and fun.